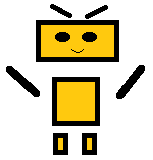 Usually people come to robotics because the like to thinker or they are curious about technology. Either way this is a great way to learn because robotics touches so many fields like electronics, mechanics , software,artificial intelligence.And is a great and engaging way for children to learn while in the same time playing. Since robotics is such a vast field, it can be sometimes intimidating to the newcomer. Fortunately are plenty of resources for any age and with prices starting from free to thousands of dollars. Fortunately those magazines have online presence and are very helpful to find new projects and resources. Robot magazine contains a lot of info about kits , electronic boards, algorithm description. Make magazine is full of projects from many fields but is a great resource to find tools,and to get inspired. has drivers for hundreds of sensors , navigation algorithms, basically everything to create a truly autonomous system.It has a simulator that helps to test the algorithms. Microsoft Robotics Studio is a Windows development tools that also includes a simulator. Fortunately the market is flooded with robotic kits.Cheapest kits allow you to put the robot together with minimum amount of tools, and then the robot executes a simple task, like driving and turning when on obstacle is reached.